Our Year 6 students are busy completing their final year of Primary schooling with one eye on the Secondary school learning journey that awaits them next year. On 28 March 2019, we invited the Year 6s to come and join our Secondary school to experience two high school lessons. 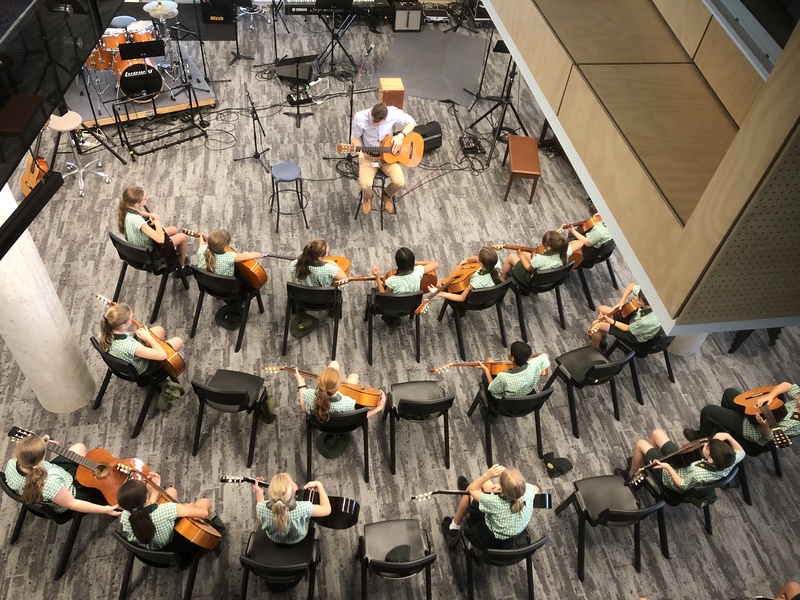 Completing a Science Lesson in our modern Science Labs with Mr Baker and Mr Morgan, and/or a Music Lesson in our new Creative Industries Precinct with Mr Wilcox and/or a Technology lesson in our Workshop with Mr Raftery, students were able to enjoy some exciting learning opportunities. As they moved through their lessons the excitement on their faces was clear as they started to imagine what life would be like in High School. Year 6 students enjoying making music in the new Creative Industries building. To our Year 6 students, we encourage you to return on May 10 for the Open Night and experience even more of what the High School has to offer.